Spring is here, the annual rebirth. Along with red-breasted robins and roadside daffodils, foals are sure signs of the new season: their tufted forms bouncing around their grazing mothers or laying flat in the grass in deep, unhorse-like slumber. 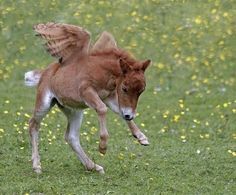 I love foals. They make me laugh; cars don’t. The love of foals is apart–or rather, in addition–to a love for horses: foals are only tangentially related to the mighty equine race. They are aliens recently landed, not yet quite here. Their parts are missized. They glow with innocence and promise, at sea in a tangle of legs. Foals usually have a curious, quizzical look. Prone to mania but easily overpowered by their own machinery, they fling into sudden contortions and startle themselves … and hide behind their mothers. Their cartoon tails jerk in spasms as they nurse, until they pass out on the grass like a spent balloon. Foals are an old love, one that excited thousands of generations of mankind before this one. It was a love we had in common. For many, those ancient rhythms are just a rerouted echo now mimicked by new car models (foals), which make sure to arrive as faithfully as the foals every year. Perhaps it is inevitable, for our kind, that such an old love would be taken for granted. 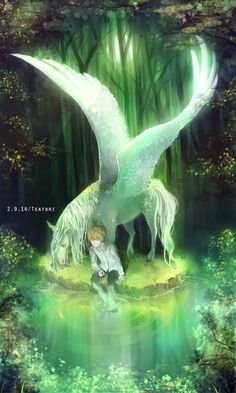 Perhaps the gift remains granted: foals still bounce, grass still grows, the Spring still comes. The annual dance of new foals shows the motor’s roar hasn’t quite drowned out the soft nickers. Maybe that’s another sign of Spring. One of any sport’s best tools for crafting a public connection and igniting interest is to have a national competitive structure that makes sense and is both inclusive and encourages top standards. It is an advantage for students to have goals and excitement to anticipate. A standard sporting city/state/regional/national elimination structure could allow local initiative to thrive and foster community through established annual events. A grassroots League could offer a simple, single-round Qualifier that conforms to the level the rider has entered … clear rounds scored in a Qualifier automatically earns the horse/rider participants entry to the city/area season-end championship. As the grassroots offers an enjoyable horse experience along with fair and education-based competition, it finds success and helps preserve the connection between horses and humans. There is a lot of good horse news today, including things we didn’t know until recently. For example, we know there is continuing interest in horses. We know that organizations will find support to advance humane issues. We know horsemanship is still alive and growing, inviting new roles and benefits for modern society. In today’s words: we know there is a sustaining market. This is a different outcome than a member of society of 100 years ago would have likely expected. Farmers seem to have abandoned the horses as quickly as tractor ads began … the rapid loss of millions of draft horses made it seem our relationship was doomed. That was before the cavalry disbanded and the middle-class recreational explosion. There are more horses now than ever before. 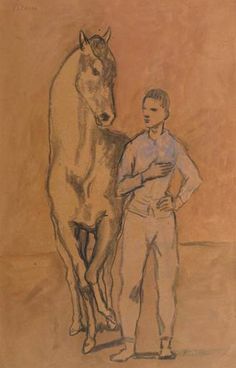 Today we know horses can have a modern future, and it is worthwhile to give thought and effort to it. One item to re-evaluate is what the average person might seek in grassroots horsemanship. A shouting cavalry riding instructor doesn’t provoke the awe of yesteryear: riding well does not earn higher ranking these days. It will not help one’s marital prospects in most instances. In fact, the dangers of horsemanship do not have to be faced, nor its frustrations or fears. Although very rewarding and enriching, riding is no longer a needed skill. The establishment horse world has responded to this change of world relations with the useful perspicacity of a green thoroughbred encountering a blown plastic bag flapping on its hind leg. This metaphor overstates only the energy of the response. It opens a question of whether the ends justify the means. However the end is hopefully not yet, and plastic bags can be held up and examined. There is good news in this reality too. In the pre-motorized world, horsemanship was another kind of business … today it is educational recreation based on quality animal care and partnership. The good news is this is a road to the future. There is no bad news, either, except as this isn’t understood and capitalized upon. The old way isn’t enough–for the grassroots, excellence is associated with outreach. Many local events already do this, of course. The grassroots have grown to fill a need beyond competition events, and they can grow more. Providing an enjoyable experience around horses demands a whole other dimension than the technical demands of holding show classes … another of the arts that attend all equestrian pursuits. The grassroots have a bright future because they fulfill an ancient need, and serve a timeless connection. 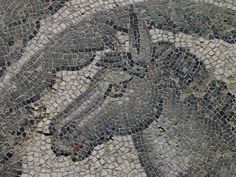 Horses have been associated with elite establishment since civilization began. 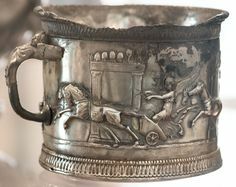 Chariot empires held rumbling sway for the (dusty) 1st half of human society; cavalry and kings continued the association. The tradition still echoes. As an equestrian sport, Show Jumping shares in the image–and baggage–of that tradition. In its short history, the sport has provided popular occasions attended by heads of state and celebrity. Yet the sport has very humble beginnings. Formal jumping of obstacles is a recent dimension of horsemanship, made possible by the renewed equine partnership that heralded the modern age. The new sport came from the elemental soil of a new society, more egalitarian and merit-based … it came from the soil of strong grassroots. Show jumping may clean up well for a fancy setting, but it was born in rutted fields and muddy back pastures. The sport was sparked in farmers’ fields, the equine equivalent of baseball sandlots. 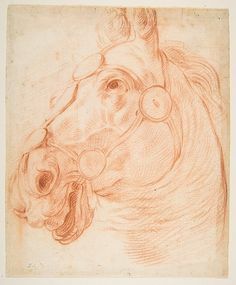 Horses that jumped cleanly were prized for the hunting field, which set a market price. Contests naturally arose. 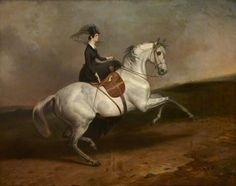 Just as skillful grooms of lower classes were used as jockeys in early flat racing, keen riders with a knack for jumping were needed to pilot the valuable mounts, regardless of their social background. Horse showing has inherent physical limits: for one thing, judges cannot be everywhere at once. There is a natural limit on availability and occasion which bring inevitable expense. However, a 2′ or 3′ jump can be made any time or any place of suitable footing (jumping low height requires only average footing). The standard is universally and objectively available, without cost. We know that rider skill and experience must improve in order to jump higher obstacles with acceptable safety. Since different baseline abilities can be correlated with objective measures (fence height/course difficulty), objectively-measurable levels can be established to serve as guideposts to learning and grassroots competition. This is something significant. Many local organizations support fair and objective competition at the grassroots level, over small fences that compose the aspirations of many busy riders of today. These organizations are not unified, but their purposes are basically universal. Objective standards could bring about a more coherent competitor experience. Horsemanship can continue to benefit both horses and humans if widely favored and supported by the public—but it’s also true that the history of horse sports does not include a great deal of participatory inclusion of all classes and backgrounds of people. The horse industry is adapting to sustain itself in the modern era. Something new is needed, and it’s available. Objective standards and scoring make it possible to develop show jumping into a publicly-accessible equestrian sport. The horse show world has nurtured the higher ranks of competition, but the grassroots element is a new frontier–and laboratory–for connecting the public with horses and the sport. If developed with the public in mind, grassroots show jumping has the potential to help preserve and sustain benefits of the horse’s connection with human society. This connection may be worth more than the public knows … or remembers. 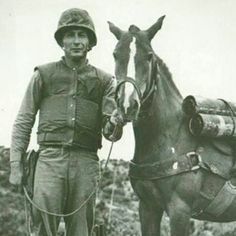 100 years ago, it was easy to get horse experience. Horses delivered the mail, took the family to church, carried you to battle and helped on the farm … horses were everywhere. Horses entertained you too: variety-based horse shows dealt with highly-skilled horsemanship, providing competition that delivered standards to achieve. 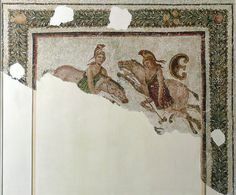 Today’s official equestrian competitions developed from this tradition, and their success serves the important purpose of seeking excellence. Yet horse shows were only one segment of what made up the horse world 100 years ago. A century ago, you could let junior ride double on the neighbor’s old farm horse until he got some balance, and bring Dot home from Grandpa’s for the twins. There’s almost nothing left horse-wise of that world. Modern horse sports were officially organized in an era that knew many opportunities to learn about horses that are now gone. On the other hand, the new segment of low-level equestrian competition (jumps below 3’6) provides a new opportunity for the public to gain experience with horses. The “grassroots” are more than another set of equestrian competitions. The focus is different. One purpose unique to the equestrian grassroots is to provide an opportunity to learn about horses. The grassroots have been neglected over the past century … horse organizations often adhere to a traditional outlook formed when grassroots didn’t exist. The source of its energy may have been misunderstood: as horse-opportunities died out, the grassroots have become a primary channel for the public to gain experience with horses. Society went from a horse-based to a machine-based culture in the space of a generation. Only a few areas survived the shock to provide traditional ways to learn about horses. 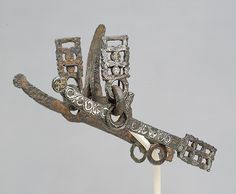 Today’s ranches and riding schools and carriage rides and equestrian venues are increasingly important connections to our ancestry … storehouses of something we’ve sometimes forgotten but still love, and maybe even need. Because their goals are not necessarily the same as the official show world, the grassroots have a certain freedom from conventions. The grassroots can provide a horse experience that is educational, economical and enjoyable … and with this focus in mind, can find new–and even old–ways to succeed. This is a rather random post. The subject has been on my mind, and this is a serious treatment. It doesn’t pertain directly to the Great Horse trilogy, but it is related, because the energy that led to writing was partly inspired by wonderful equestrian events like the American Invitational, which was cancelled this month–it was run in name only, a change hardly remarked upon by equestrian media, which struck me as inappropriate and also fitting. May the event that put the “stadium” in Stadium Jumping return someday … and the dream be fulfilled. I favor show jumping as a participant and spectator sport, and have long been interested in its success. The sport brings focus to the horse’s well-being and state of mind, and has potential to make horsemanship more widely available. Additionally, the sport allows spectators from all walks and stages of life to enjoy and connect with the horse, which can help preserve our beneficial and historic partnership in an increasingly technological era. In pursuing these excellent goals, it is worthwhile to understand why the sport isn’t already more than a small asterisk in the consciousness of a sports-obsessed nation of former horsemen. The idea that making a show jumping event public is enough to achieve success may come from the fact that show jumping was briefly a mass-market spectator sport after WWII … but new efforts should not assume that show jumping is still ready for prime time. The whole spectator-based mentality of show jumping—its public-minded attitude and the “show” part of the sport—all went another way, and must be re-imagined and rekindled in order to renew a connection with the public. The ready-for-primetime balloon was popped last fall. Social media buzzed about a new show jumping event in Central Park last October. Fresh energy and faces were bringing the sport to primetime—billed as the best chance in a generation for the sport to impress the public (and it probably was). Channels were set and live-streams logged into … and then … well … it began. The presentation was like a pale hand emerging from the grave at the end of the movie “Carrie” to throttle public interest, just when things were sunny and good. Others may feel differently, especially knowledgeable viewers, but the wider audience wasn’t engaged. I know this kind of show jumping production rather well. The brand is immediately recognizable: I was there when it happened. It’s not show jumping in the spectator sense, so much as a variant known to ward off the public: it has killed and will kill again if exposed to innocent spectator interest. A healthy habit of self-analysis in the sport has been stymied by its history. This is not to cast blame: the only point is that anyone who wants to make the sport more popular will need to review recent thinking before bringing show jumping to television … or they will waste effort and money. I have experience with another kind of success in horses. I started the first University Equestrian Club at UT/Austin, and in my senior year (1988) I created an event called the US Intercollegiate Show Jumping Championships which featured 9 teams from colleges across the country. For the event I flew in the promising young David O’Connor (pre-Olympic medals and USEF Presidency) for the benefit of the competitors and to host a clinic. David acted as an official coach, and several colleges also brought their own coaches too. The Final was a Gambler’s choice-type competition that drew nearly 2500 spectators … something that never happened in Austin, Texas before or since. I obtained a front page “life-style” article in the Austin-American Statesman, and a mention on the Today show by weatherman Willard Scott (“Great weather for the Collegiate Show Jumping Championships!”). Based on this event, I was hired by Gene Mische, founder of the now-venerable show jumping circuit, Stadium Jumping, Inc. I was flown to the National Horse Show in Madison Square Garden, in one of its last years at that location, and Gene asked about my ideas to increase crowd interest. He liked my ideas and hired me. Unfortunately the sport was about to shift in a direction that made such ideas obsolete for the duration. Everyone who knew Gene knows he was consummate gentleman and businessman … a wonderful horseman and spokesman for the sport. He loved the horse community and wanted to develop the sport in the public eye. 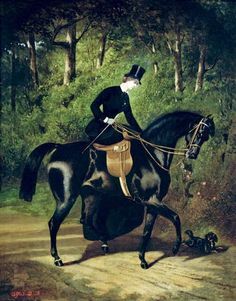 Gene was genuinely committed to grow the spectator potential of show jumping, and worked to do so. The backdrop of my hire was the upcoming World Cup Finals being held in Tampa. Gene felt the city was positioned to become more prominent location, and the World Cup was a part of his vision. An entire team was in place in Tampa months ahead, organizing the event and its corollary functions. Gene had built up Stadium Jumping, Inc., into the preeminent American show jumping circuit and was taking the sport to new levels, with the clear goal of making it attractive to corporate sponsorship and growing the spectator appeal. That is what Gene wanted to do, and I give him great credit and respect for his vision. How that vision relates to today requires acknowledgement of history–not for dwelling upon, but for understanding how to effect true and positive change. By the 1970’s in America, a languid malaise seems to have fallen in many quarters, including the long-running big charity horse shows that had incubated the sport and its public connection. The social element that was once a beneficial and sustaining resource became diluted through changing cultural tastes. Faced with challenges in attracting new volunteers and an increasingly non-horse literate population, the underlying groups began to move in a more centralized direction. Other forces were at work. In the early 1980’s the traditional final individual event of a tournament, the Grandprix, gradually became the sole focus, and the rest of the week dwindled in attention. Among other reasons, the change was driven by exhaustion of volunteers—there are never enough angels—and because the ‘bottom line’ was immediately improved by cutting costs. Spectator losses were masked by increased single-day attendance. Unfortunately the social/volunteer element was not as important—or supportable—with a Grandprix-only event, and gradually the traditional tournament concept and the volunteer charity concept were both diminished. Gene and his company, Stadium Jumping, Inc., were salvations to many of these shows, which were linked together in a Grandprix Circuit for sponsorship and spectator interest. There was early growth and excitement … and then the ground shifted. Big charity horseshows are community affairs. Each was started to some degree through the generosity of patrons and a sizeable, knowledgeable, motivated and connected volunteer community. They found success through a spectator-tournament format, building excitement through a week of culminating social and spectator events. Unfortunately, the cost-cutting measures that fuel corporate “efficiencies” combined with remote management had the effect of sterilizing the occasion. The corporate model proved difficult to sustain, for it undermined the very resources it needed: the community and local connections that made it all work. There was, for the World Cup, a title sponsor who suddenly threw in a dirty stop, you might say, by refusing to allow exposure to the European’s individual sponsors, which of course meant everyone pulled out, leaving Gene holding the bag. It seems the dark day was ‘rescued’ by interests with one condition: to get the sport out of the headlines. At the time, all I could see was my reason for being at Stadium Jumping seemed to have vanished. The details don’t matter, only the effects on today. The change wasn’t necessarily to be permanent, but other factors enforced the direction. There were hints of a scandal involving some grandprix riders: the new stars of the new sport. The way it was handled—stonewalling and silence—proved damaging … not least because the scandal was never resolved from within and required federal action. In this long and frankly unjust period for many good professionals, the sport stagnated and many withdrew from public-based thinking. A bad habit was set. Other organizers accelerated what became the mega-show trend. With a willing response from competitors, an exhibitor-based model was developed, a gigantism shorn of outsider interference and centralized to the extreme. 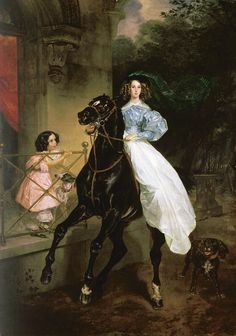 The innovation of weeks-long village equestrian competition that Gene had pioneered actually did better when stripped of its spectator component. The event could go out to cheaper, empty land and create a horse playground with new amenities. The sport would be limited to those who could pay and spectators largely ignored. The 70-horse fields, repetitive/rote information, workday enthusiasm, bland camera work, lack of explanation to the audience, avoidance of focus on horses, multiple horses per rider, long courses—all this was unfortunately part of the Exhibitor model as it developed, because spectators are frankly incidental. This isn’t to criticize but to recognize. On the positive side, people enjoy the mega-show, and it has many benefits to the local economy and horse industry too. It allows more scope in some areas, and a pleasant and worthwhile experience for those able to join in. Hopefully this format has a very bright future, but it should be acknowledged that the Exhibitor model’s success is not in spectator attraction. The work of making the modern spectator welcome and entertained is still to be done. The sport is still blessed with wonderful people, and of course, the spectator elements of the sport are not gone … if watching jumping were fun again, the crowds would return. Horses are loved by the public … show jumping was created especially for spectators to watch horses. It is also a game, and games are what people most watch (not sports!). Show jumping could reach its potential as an educational and thrilling competitive adventure. Show jumping is a sport for the future. All this I still believe. Horsemanship faces challenges in the modern age, which can be solved if horse enthusiasts find ways to come together and better share the experience of horses with the public. Show jumping can be an important tool for sharing. Gene’s original vision didn’t happen exactly as planned, but there is reason to hope that the dream to successfully bring show jumping to the American public may have only been deferred. The historic Suffolk Downs race track has announced it will no longer hold live racing, due to not getting a casino license. It seems the current gambling model has no future as manager/caretaker of American racing, but Suffolk Downs itself has great potential if it will focus on what it’s truly about … horses. Suffolk Downs management has since said: “We’re willing to listen”. Horse racing can continue at Suffolk Downs–additional uses of the unique facility can provide a revenue base. Suffolk Downs has a great deal of unused capacity: the property lies unused most of the year. Racing is held only half a day, three times a week for 5 months each year. Live racing could continue while expanding the facility’s usage to access revenue streams that have developed since Suffolk Downs racing heyday. I. Horse racing The first important revenue enhancement would be to promote the sport and Suffolk Downs to the broader public, something which has not been effectively done in several decades. It should be recognized that horse-players and enthusiasts are not necessarily the same as casino-clientele: horse gambling revenues are largely separate from casino profit. Note: Opening the facility to a family focus could be done easily: the remaining area for gamblers is in the Clubhouse, set to one side of the larger, two-story open Grandstands (and open plaza) … it would be a simple act of signage to establish a soft division between a more intimate, adult, gambling-focused section, and a bigger and more family-oriented public area offering smaller ‘fun’ wagering. This would allow an appropriate space for families and also adult gamblers. II. Other equestrian competition The facility is ready to conduct other major equestrian competition once it has developed arena space. Some 1200 stalls and related equestrian amenities exist on the 150+ acre property of Suffolk Downs … the stable block is adjacent to the mile-long main track, of which the entire infield of at least 100 acres is landscaped but otherwise unused. There is room for arenas and an International Grandprix ring (with existing seating for 15,000) AND a grassy picnic area for spectators … just five subway stops from the Waterfront at the heart of historical downtown Boston for exhibitors. The airport is less than 3 miles away. III. Horse-themed retail/events Public-oriented horse events have discovered economic benefit through providing quality retail shopping areas … here is an ongoing horse event! Outdoor facilities at Suffolk Downs could be developed, and ample room also exists within the Grandstand buildings, side areas and numerous paved lots for permanent/semi-permanent spaces of equestrian-themed shopping. There is also existing space for conference rooms, exhibition areas, galleries–all contained in a unique and classic equestrian-themed setting. IV. Corporate sponsorship There are greater possibilities for beneficial sponsorship in an inclusive public facility, including not only title sponsorship, but for educational horse-themed exhibits, volunteer/hospitality centers, pony rides, children’s play areas and other wholesome family-oriented facilities. The site can give exposure in a sport that literally invented the concept of sponsorship over 2000 years ago. 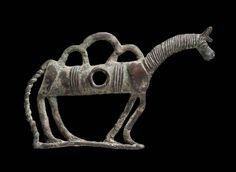 V. Donor Opportunities Humans have never been without horses before … our relationship is older than history. Today’s mechanized age has presented maybe the greatest crossroads the horse and human relationship has ever faced. Philanthropy is part of the ancient equestrian tradition, and there is opportunity now to sincerely contribute to humanity’s future by helping preserve horses for future generations. Suffolk Downs could offer an important way for donors to be remembered. VI. Public partnership As our technological era continues and we face greater loss of connection with the natural world, our living historical link with horses will become more important–not less. Some limited governmental role seems appropriate to protect this investment for our future. In return, Suffolk Downs could benefit area education as a partner in school field trips and various educational opportunities with horses. Lead-line rides and even beginner-level riding instruction could be made available through privately-run programs, with recommendations to local stables for interested students. There could be tie-ins with local art and museum interests and historical groups/events. 4-H, FFA and other youth programs, farrier schools, medical veterinary resources, equine therapy and other aspects of horsemanship could find a new home. Variety and universality are strengths of horse activities today. Private investment by an individual interest is one path. It is also possible that a non-profit organization could manage the entire property to specific (and reportable) mission goals including attendance, business participation, revenue, tax allocations, public outreach, local community benefits, etc. Activities and areas could be managed within this umbrella to create ‘free enterprise zones’ that allow for private business activity to achieve their own visions within a specific sphere … security and facility assurances (and a clear path to continuity) could foster a positive environment for investment and private initiative. Suffolk Downs is a going concern—the property simply needs to be run effectively as an actual business. Permits and drainage and access issues have been worked out over the decades: the difficult work has been done. Suffolk Downs also has the advantage of a period of somnolence to spring from … a new initiative could creditably and truthfully be announced as an exciting new start. Events have made it clear that Suffolk Downs must expand from a part-time, single-use equine facility with a focus on casino interests. If the property can be repositioned and refitted for a broad love of horses AND is focused on sharing it with the public … not only would the public respond, but Boston, the horse world and future generations would greatly benefit. Suffolk Downs could be on the edge of a great and renewing historical adventure, preserving the past as it welcomes the future. The unusual thing about the first Great Horse Meagan meets in history is that it isn’t unusual at all. Meagan doesn’t realize at first that she has traveled time or that she is dealing with a prehistoric herd of horses. 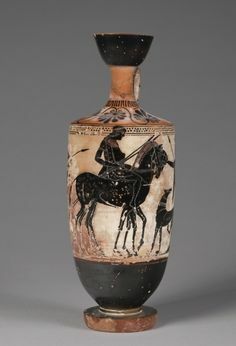 Humans could have tamed horses tens of thousands of years earlier than actually occurred, because horses evolved much earlier than modern man. There was no inner difference between a horse Meagan would have encountered in 20,000 BC and a horse today: it is humans that have changed. In the growing light, Meagan could see the horse was a mare. The animal’s round belly was tucked into thin, drawn quarters and her cream-colored coat was mottled with patches of darker gray. The scrubby mane and tail were chewed off in spots, and her coat was covered in scars and puffy lumps. “Poor thing, no one’s taking care of you.” Meagan’s voice was loud in this quiet place and many small eyes were quickly upon her. She decided to rinse off her coating of dust and grime, and knelt in the cool water to gently splash her arms. She inhaled deeply, drawing in rich scents of animals and earth. Excerpted from Eclipsed by Shadow, the award-winning 1st volume of “The Legend of the Great Horse” trilogy. Eclipsed by Shadow (Book #1 of the trilogy) won national awards including the Eric Hoffer Award for best Young Adult Fiction, and the Mom’s Choice Award for best family-friendly Young Adult Fantasy. » See All Excerpts from The Legend of the Great Horse trilogy. » Read the 1st Chapter online. » See the Media Kit for more information about the trilogy. Check out the trilogy’s page on Facebook! 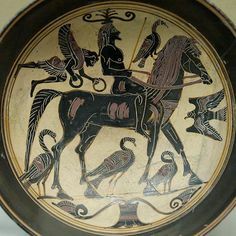 The Legend of the Great Horse trilogy was inspired by man’s partnership with horses … the following is a response to an exceptional challenge to the horse’s place in society today. The NYC carriage horse situation has given me the idea to ask the horse welfare activists to help with a project for the future of horses—by helping reconnect the public with their equestrian roots. The recent move to ban horse carriages in NYC follows a number of controversies involving the place for horses in modern society. The struggle against horse slaughter, the fight to keep free-running mustangs in the American West, and, for me locally, the disbanding of the Boston police horses and detached dismanagement of Suffolk Downs—these issues point to a need for an informed public conversation about horsemanship’s role in the modern era. This is a conversation for our time. The discussion couldn’t have been had in 1900 when cavalry competitions in Jumping were new and gaining unprecedented popularity with horse-experienced audiences. In the following decades the ‘horse and buggy’ was being replaced by automobiles and made into a cliché of being old-fashioned and obsolete. 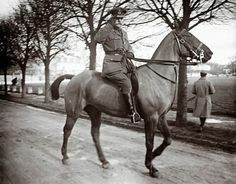 A conversation about the future of horses wouldn’t have been hopeful in the WWI & II years as 21 million US farm horses were summarily ‘retired’ in favor of tractors and horse cavalries were being disbanded the world over. 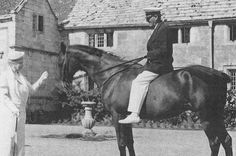 Even as new recreational forms of horsemanship were growing in the post-war era, it was too soon to see whether popularity would sustain or how the new forms would develop. Today we have the evidence that human interest in horses goes beyond their use in transportation and war, and valuable experience in how humane forms of horsemanship can continue to benefit mankind. We are at a historic crossroads and, as the challenges to the horse’s presence in society are showing, we need to have that conversation for the good of our horses and future generations. My proposal is to ask Mayor de Blasio to set aside in perpetuity a quiet 1.5 acre plot in the 840-acre Central Park for a ‘Horse Village’ dedicated to sharing horses with the public. I’m beginning an informal series on the benefits of horses to humans … Horse Owner Today magazine has posted the 1st one!